All merchandise purchases help save an animals life. 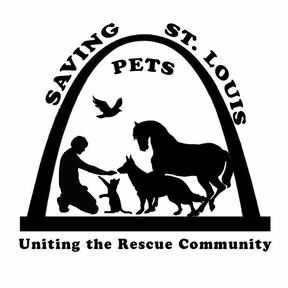 Saving St. Louis Pets is 501c3 non-profit organization that raises funds for emergency vet bills of stray and low income family pets in St. Louis and the surrounding areas. We also help network animals in need of rescue and serve as a place to help unite the rescue community in our area. We work hard to ensure that no animal has to suffer due to lack of funds. We only pay reputable vets for the animals care and never an individual or rescue group. We do this ensure that every dollar raised and donated is used for the animal in need. Every dollar truly counts in this effort no matter how small. All money from merchandise sales go directly to saving the next animal in need. Thank you for joining us on this mission! We at Saving St. Louis Pets truly appreciate every donation and supporter. After all, we couldn't do this with you! If it wasn't for Saving St. Louis Pets, our dog Max wouldn't have gotten the surgery needed for his injury. Saving St. Louis Pets was created in 2015 to help out area low income families, strays, and rescues with emergency vet care for animals. We assist with fundraising and networking to help with the cost of emergency vet care. We are a Non For Profit, 501C3 that pays vets directly.